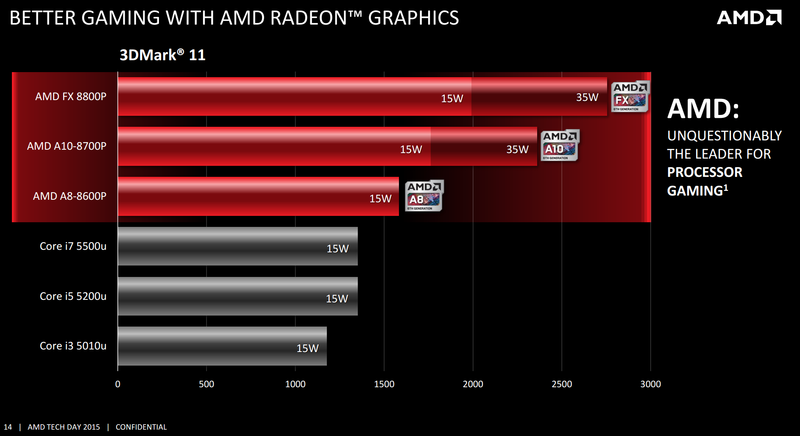 The 45W A8-6500T scores 71 in Cinebench R15. Even assuming that 15W kaveri gets identical performance (I couldn't think of a 15w kaveri chip to check on bench) that puts it at 106, which is finally, finally even with broad well in the xps 13, or at least <10%. 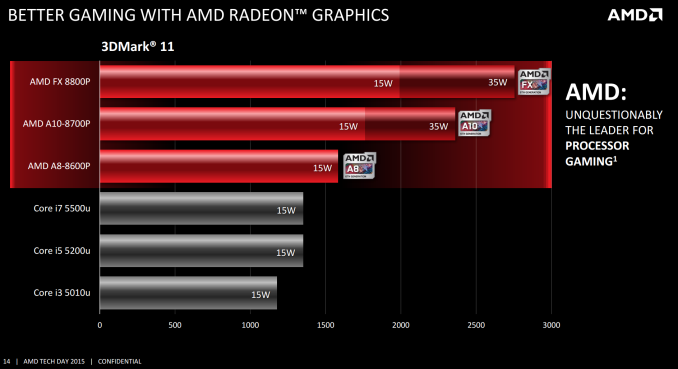 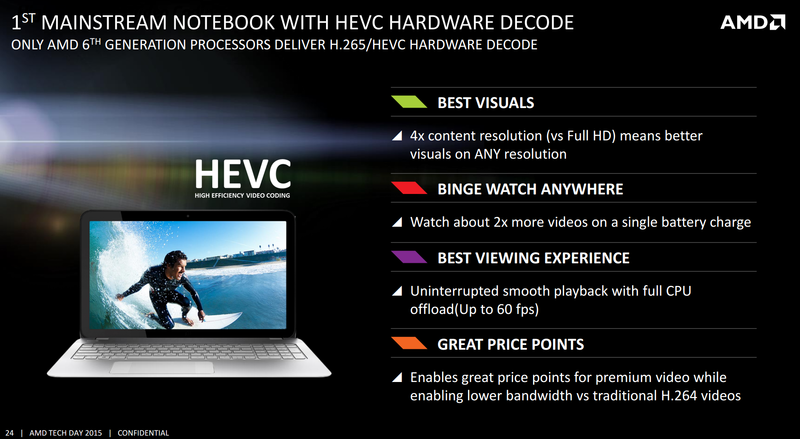 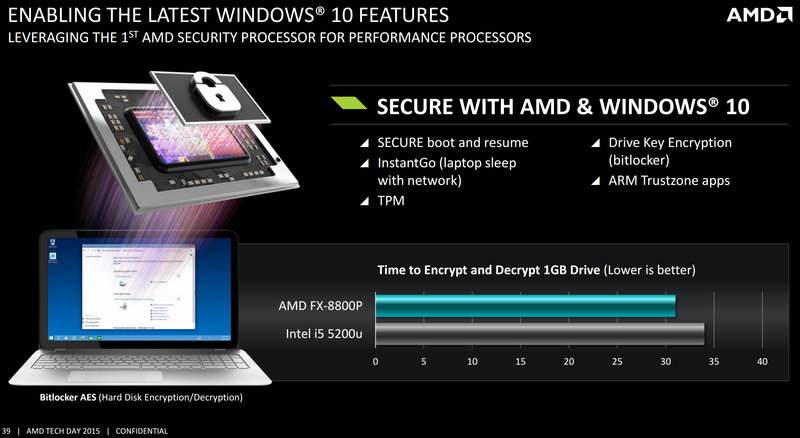 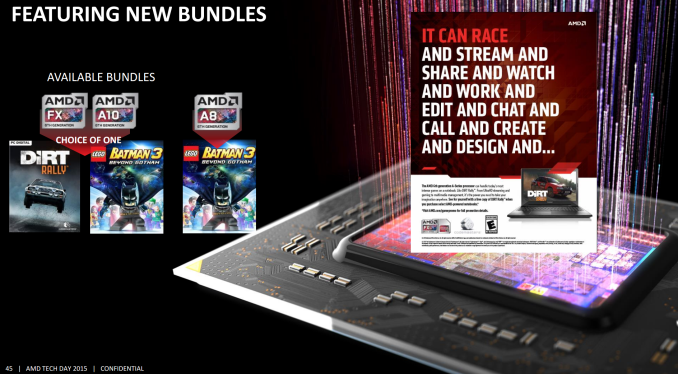 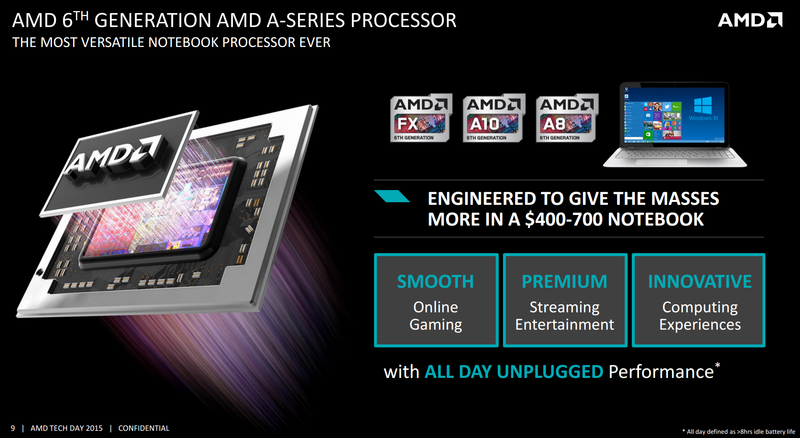 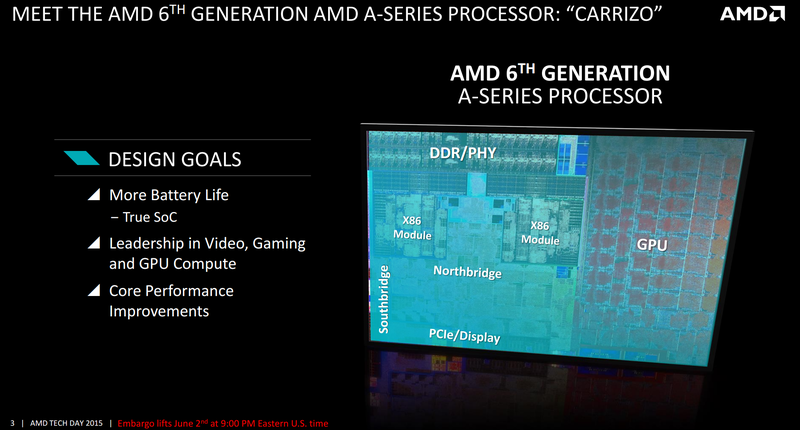 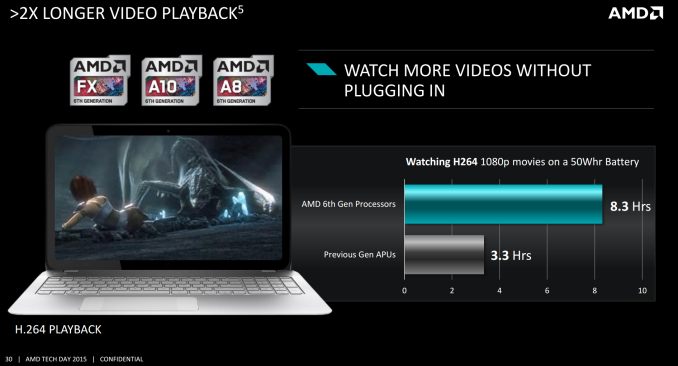 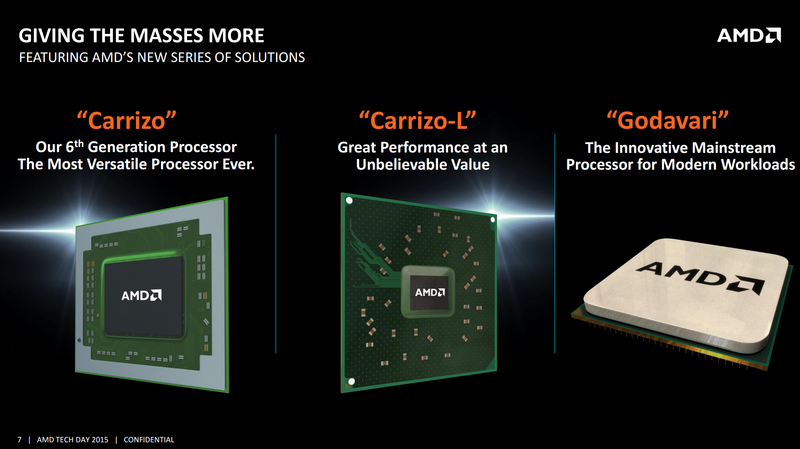 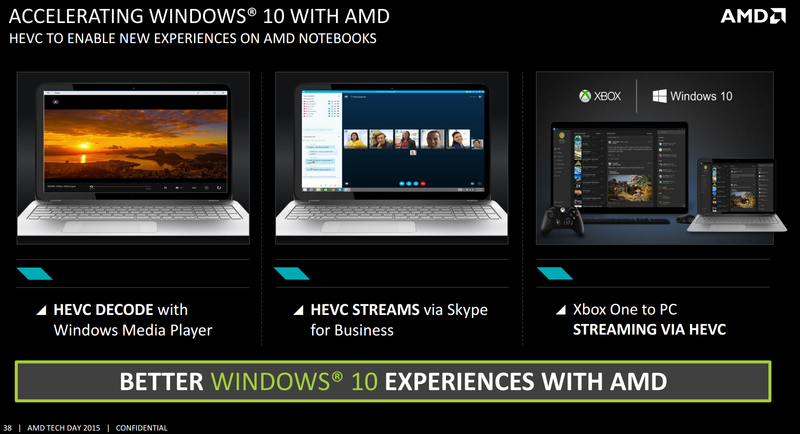 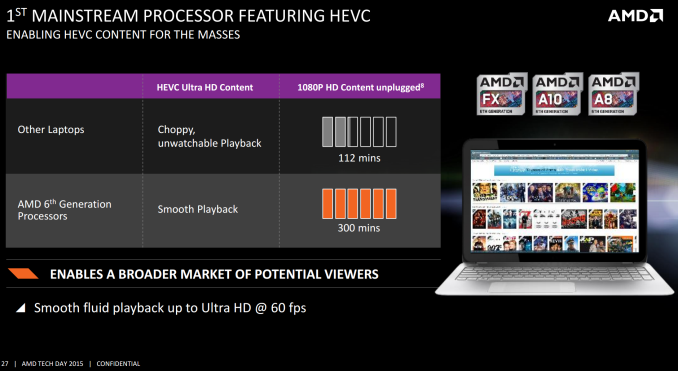 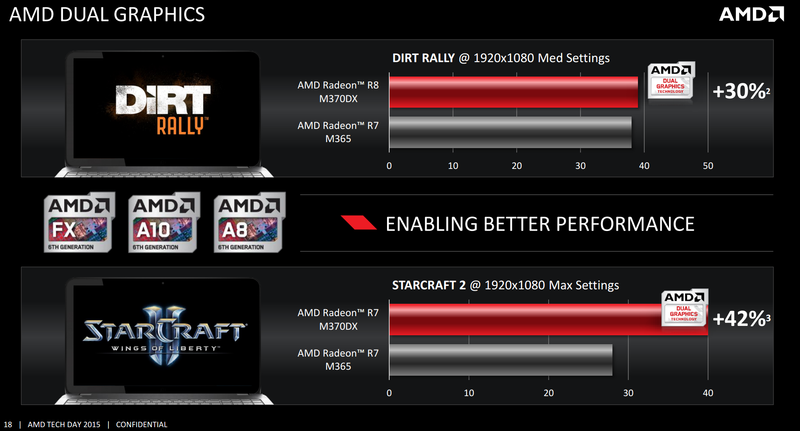 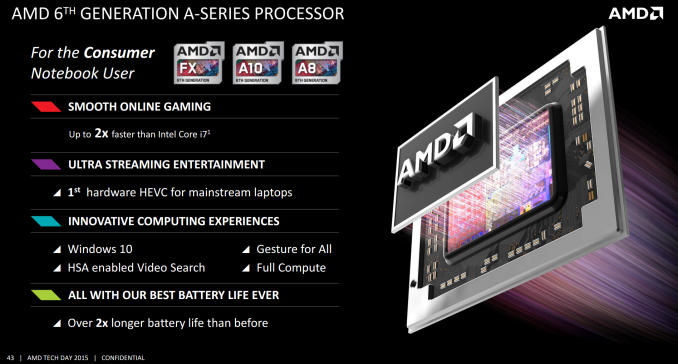 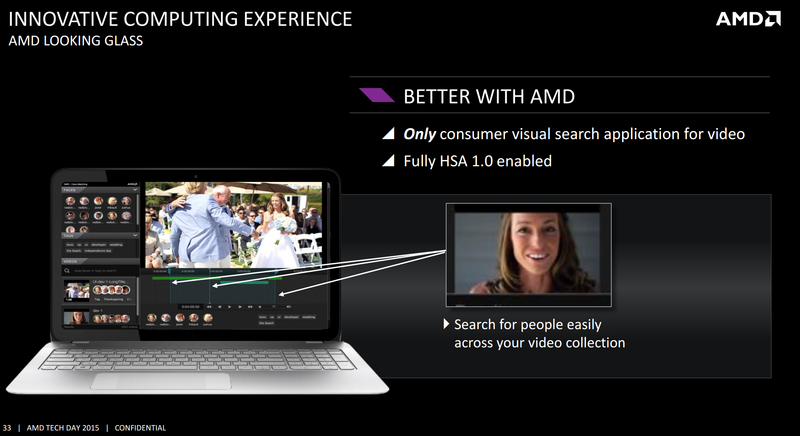 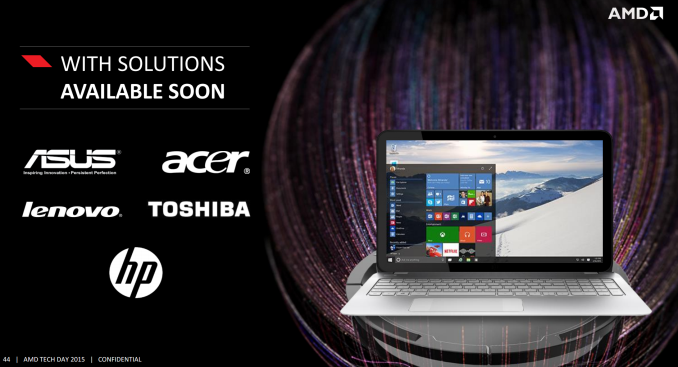 My only problem with AMD and the marketing blurbs is that they're targeting niche markets for all intents and purposes. 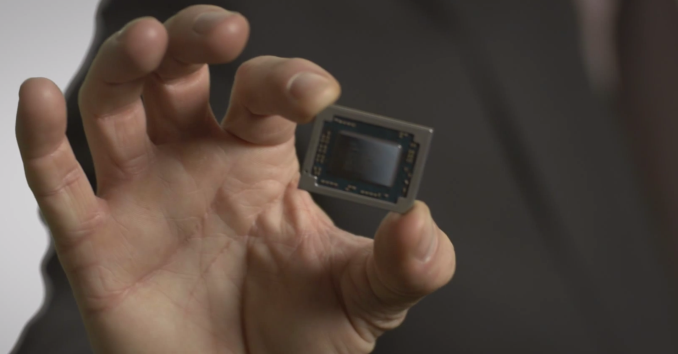 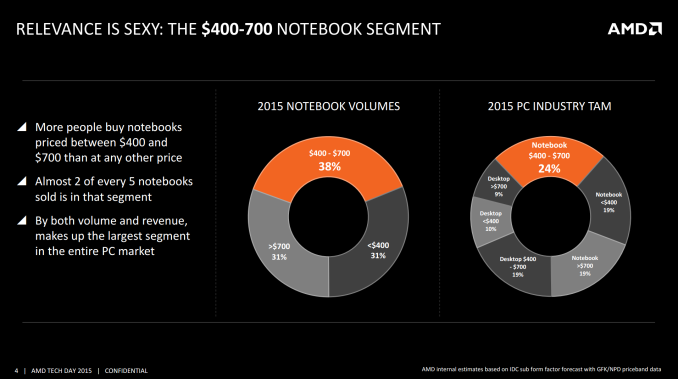 Despite what PC gamers want us to think how big PC gaming is, it's not exactly a majority player in the entire scheme of things and gaming on a laptop isn't really that accepted.